Full details will be announced August 17. We are delighted to announce that Tara Faughnan will be teaching at BQE 2019. 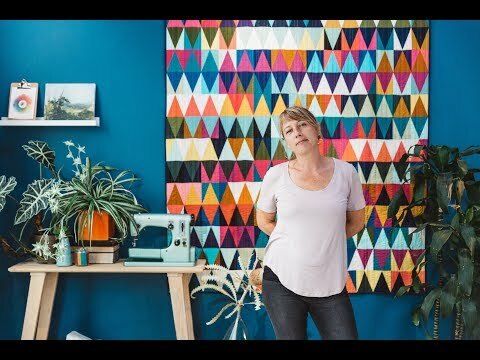 Ms. Faughnan is a professional freelance textile designer and quilter living and working in Oakland, CA. Our workshop offerings will be announced on August 17th. Ms. Faughnan’s quilts are known for her vibrant and harmonious use of color, and have appeared in many national and regional shows including the International Quilt Festival (Houston), American Quilter’s Society (Paducah), Pacific International Quilt Festival, and QuiltCon. She served as a judge for QuiltCon 2018. She has filmed two quilting classes for Creative Bug. And has been published in many magazines including Art Quilts International, Modern Patchwork, Generation Q, and QuiltCon Magazine. Read more in our full biography.